We have come a long way in terms of our security measures. The standard by which we hold ourselves and our safety now lies in computer technology and it's only going to advance further. Finger scanner and facial recognition technology is multifaceted. It can be used for identification in offices and at home, communal buildings, apartments, airports and more. It all starts with employee clock in software. One of the most basic tools that every office needs. You add fingerprint reader software to it and viola! You've amped up your security tenfold. The reader makes sure that only your employees can sign themselves in. But now extrapolate that outside the office. What can finger scanners be used for? Well, they will help add information to databases. Biometrics are the most accurate way to identify individuals. They only read live prints, too, so they're ideal for airport security, government offices, and major corporations. Fingerprint door locks are implemented, and some biometric security scanners will also check facial recognition and vocal patterns. Basically, you can use biometrics for a multitude of home and business applications. They make things run more efficiently and securely. Everybody needs a laugh, isn't it? Everybody is far from perfection. 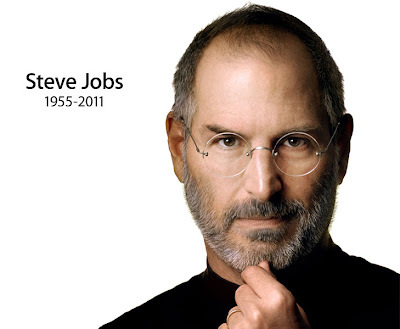 Even Apple sometimes has issues with their hardware, if you cared to check the net to find out the truth. Siri always gives you diverting answers to your questions and is not really as ‘brainy’ as what the hype claims she was. However, the irony is, everybody is looking for perfection, or constantly looking for imperfection to complain about. That’s being human. One thing dangerous, in my opinion, is state of being complacent; going through a long period without having urges to improve in any area in life. While perfection is vastly subjective or rather impossible to achieve yet the struggle to achieve perfection must continue. That’s being human. 2012 is just a few days away and looking back at the year we are going to leave behind, I would say that FingerTec practically ran the whole year on our road to perfection, having so little time to catch our breath; and the run doesn’t stop in December but picks up its speed in January and the struggle continues. There were so many things accomplished yet there are so many things in the pipeline waiting to be perfected for our customers. The latest will be the introduction of CloudTrack for all our resellers. A user can access the information of every FingerTec unit purchased from us since July 2011 and get details of every part available in that particular terminal. And even better, resellers will be able to update those records to contain the latest information about the particular terminal. In a way, CloudTrack will work as a record center for all FingerTec products to ever leave our company. Before you invest in biometric time clock software, you may want to have a better understanding of what constitutes this technology. Once you know this information, you will be better able to ascertain the effectiveness of biometric time clocks. This technology is not only suitable for security firms, it is valuable to any company. Biometric software is not an elitist notion; is is available for small and large businesses. There are so many different models available, each of which offer great features, that you will definitely find the model that most effectively addresses your business needs. For example, the FingerTec TA2oo Plus W is a state-of-the-art wireless attendance system. It has large storage capacity and a colorful screen that displays straightforward icons. This system is also incredibly convenient, since it offers multiple clock-in methods, which include fingerprint identification, RFID cards, and password verification. This attendance system also includes message displays and similar features that make interoffice communication even easier. It is also easy to enroll a user and transfer data. This software abolishes many faults associated with traditional employee clock in software, which creates a more honest and efficient work environment for both you and your employees. 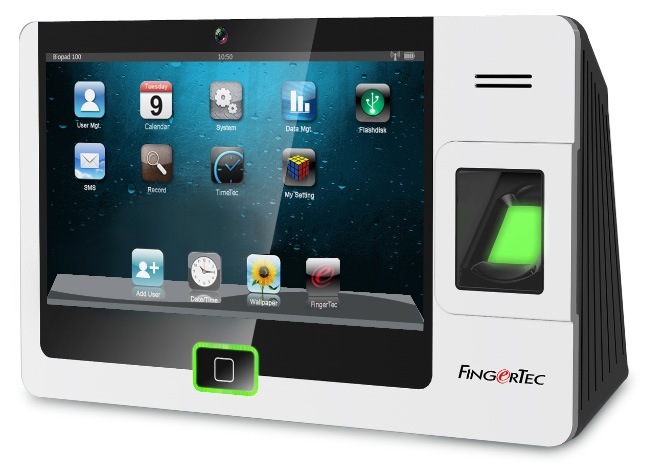 For more information, visit the FingerTec homepage. I always had the dream to build a world-class brand. 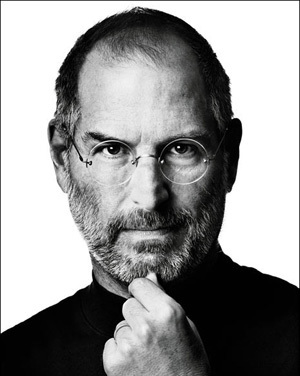 And, I believed that full-fledged execution is the only way for me to get closer to that dream. Over the years with FingerTec, we have been building, improving and strengthening not only our products and services, but also our system and our people, in our way to achieve this ultimate goal of building a renowned brand. When we created a vast pool of online resources based on practical branding that leveraged on Internet technology, we promised our customers that we would Make Things Easy. User friendliness is the priority in almost everything that we do, starting from leading-edge products to support systems. This strategy had brought us hundreds of loyal resellers and ten-of-thousands of customers in more than 120 countries around the world. Our 2011 recorded a growth of 15% as compared to the previous year, which I'm proud about considering the volatile world's economic situation. Even though the coming year's economy would still be enveloped in a gloomy outlook from the likely spread Eurozone debt crisis, we particularly optimistic about the future ahead of us. Let's welcome 2012 with the publication of Beyond Biometrics. This annual magazine contains FingerTec's past activities, and the retrospect of the brand's highlighted events. we also give you a hint of what's in store for the year 2012 by FingerTec. 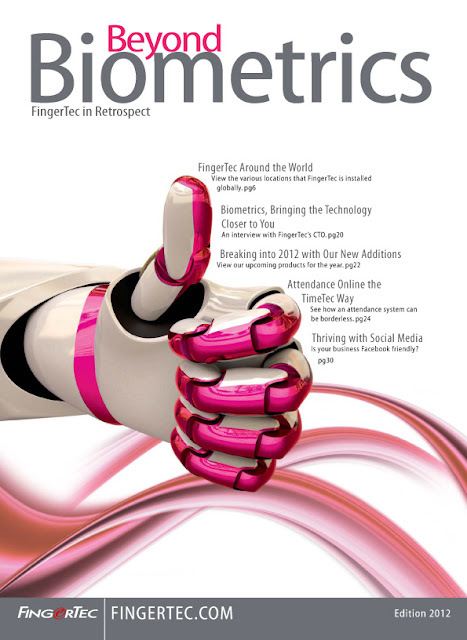 Beyond Biometrics is not merely a title for our magazine, it has become our new slogan, succeeding We Make Things Easy, marking the arrival of a new era that focuses on technology transformation of FingerTec products, and the changes in our business approach simultaneously. 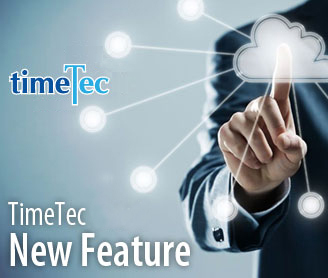 The recent debut of our web-based and mobile TimeTec system has the market excited, and we expect to expand our platform to cloud computing technology and to offer it as SaaS (Software as a Service) in the short future would definitely stir another round of excitement. Furthermore, we will continue to lift the slogan to a higher ground, to become our philosophical guide that blends into our strategic planning and daily operation. With all that we have in plan and the team that we have onboard, I am confident that the FingerTec brand will soar to a new height. It is my pleasure to present to you Beyond Biometrics and let's stride towards the promising future. Offices used to be filled with closed doors and rows of cubicles. However the 21st century's definition of an office is a more open and collaborative environment. A lot of this is a result of the advancement in technology and in security. What was once standard is flying out the window and being replaced with more cost effective and accurate solutions. One example is the eminent takeover of personal devices, which have made "bring your own tech" (BYOT) a common office practice. Because of this, security and employee work shift tracking software has become more popular. 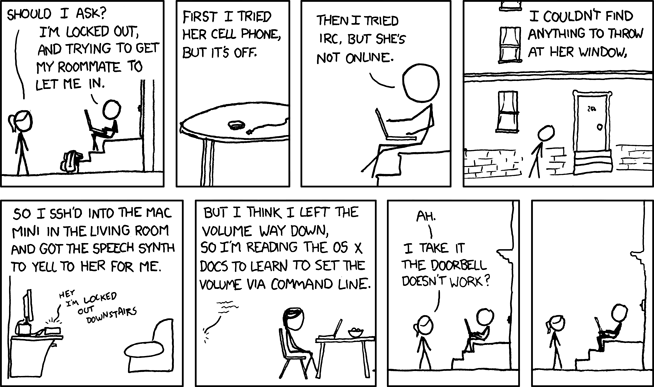 Obviously offices are now filled with WiFi and PBX hosted phone systems too. Computers are smaller and files are shared online. Things have generally shrunk and have become less paper-oriented. It saves storage space for more practical items. Biometric time clocks are another big switch. Since more time is being spent outside of the traditional office space, complex systems are now in place to record breaks, meetings, and absences. When people are coming and going more often access security has to advance as well, hence the implementation of fingerprint door lock technology. Obviously this is just the start but it is a big step forward. Considering there is a whole century ahead of us and technology advances exponentially faster, there is a lot to look forward to. Recently, during the IFSEC Arabia Exhibition, I had a talk with one of FingerTec distributors from Saudi Arabia. “Since you make cold calls to get appointments, how many prospective customers do you meet in a day?” I asked, after he explained about his sales activities. Exactly. He saw the logic by getting more referrals and more quality potentials. “But still, time is limited for everyone. Why don’t you try some new strategies?” As usual, I started my “routine lecture” to persuade him to look into Internet marketing as an alternative method to improve his company’s image and boost sales. I began to explain how to tap on our resources, to use monthly newsletter as an effective tool to spread the influence and to reach the maximum target audience by a single click. “And you virtually meet more prospective customers not by hundreds but by a few thousands every month. The mailing list will get longer much easier, and you will experience the days when customers will be calling you instead of the other way round.” Of course, I told him that rule of permission marketing is applied. I received positive responses from his boss, who joined us later in the conversation, and him. I sincerely told them that the Internet marketing might look simple, but without persistency, many had failed in adopting the strategy. I recalled three years ago when I visited a distributor, I noticed that some ineffective conventional methods were being used by them to handle both sales and support in a vast country, I told them that they have to make a few changes to prosper. I later spent a month writing FingerTec Distributor Guidebook as a reference, and urging more resellers to follow our successful strategies in expanding their business in the local market. Because, I really don’t think that to increase sales amount, the workforce size needs to increase at the same rate. Since FingerTec Way has been proven to work fine in expanding business to cover the worldwide market, I strongly believe that it should fit into other local markets effortlessly with some minor modifications. Even if resellers make use of the same concept and include some other products that they carry, I think it should work fine too. Alas, although some distributors agreed, acknowledged and implemented the idea, it was done in a perfunctory manner. For example, they may set up Facebook accounts, but updated them once in a few months, not to mention tougher tasks such as sending newsletters with some of their own contents periodically, which I think would be a highly efficient way in yielding maximum advantages in the long run. 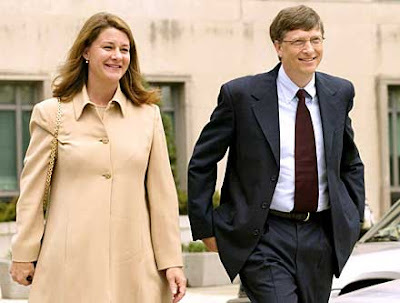 Persistency in executions is the key to ensure a successful plan; that is what I have learned over the years. In fact, relationships between FingerTec and its partners can be more intimate than just buyers and sellers if they were to implement the FingerTec Way. They are free to use our plentiful resources to grow their business. The persistency in execution is everything that they need. The FingerTec Way is still in its infancy. Hence, wherever I go, I feel it is customary to promote it to the resellers that I met, hopefully to gain more followers. This has become my new persistency. There has been quite a nasty string of exam fraud for university applications. This has prompted schools to start looking for alternatives to the traditional student ID and government issued photo ID. Since schools take themselves very seriously, having such fraud scandals could seriously hurt the admissions process. It is so easily avoidable, too. you just need to be sure that the person who took the test matches the academic record supplied by the school. This can be done with more advanced technology than a photo. Biometric technology can be applied for many things, like employee clock in software, so why not for exam-taking? We ask for fingerprints and other forms of identification anyway when it comes to other matters of security and insurance. Why not make more advanced systems for education? The simplest form would be a finger scanner. The more complicated forms of biometrics include a scan of the iris, vascular (skin), and face. The University of Cambridge may start including software for exam fraud prevention so that they have a much smaller chance of any occurrence. Biometrics have been proven useful for many forms of fraud prevention. From shift clock-in and out, banking, and building security. Academic integrity is just one more useful application of the technology. 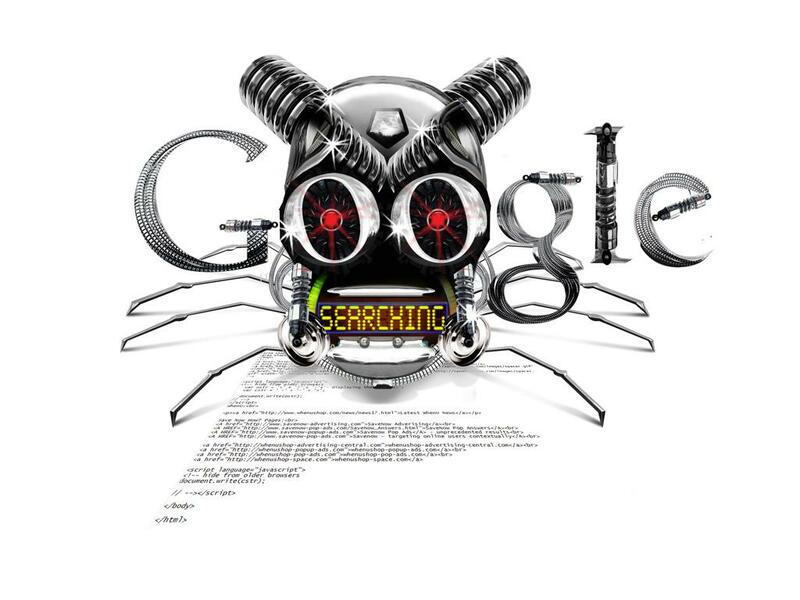 Gauging your own popularity in the search engine by typing your own name in Google is an act of vanity and if indeed you do it occasionally, it should be kept under wrap forever. But, gauging your company’s popularity in search engines is not an act of a narcissist; it is an act of a good business sense! When a large part of your marketing relies on your existence in the Internet, being found online should be one of your business’s top priorities. Creating corporate and commercial websites are among the first steps which many companies have taken on seriously plus the advertising of www addresses everywhere, but not many companies would actually promote the website in the Internet for the millions of Internet users out there. The fact is, the Internet world is more than meets the eye. Think of the Internet as an ocean of information and like the sea, there are mysteries waiting to be unfolded. It requires extra effort from a company to learn about the potential of the Internet in business. The key to being found online is keywords. What keywords would your potential clients be using to search for your company? People who don’t know your brand will not key in your brand’s name into the search engine. My point is, you can’t claim that your brand is always on top when you typed in your brand’s in the search engine. The truth of the matter is, people would not type your brand when they are looking for biometrics time attendance or door access machines. And if they type the keywords associated with your products, would they find you? And, if they don’t, would they find your competition instead? So, the question is, what would be the keywords that come to mind when they want to look for information related to the products that you offer. It’s easier to think that everything happens by chance but the reality is not as ideal as that. Search engines have their own unique way to spot you amongst the rests. Though the process is not as simple, the idea is. Scatter the keywords all over your websites, let the robots notice the keywords and bring the information back to the search engine. The more abundant the keywords, the higher the chance of being found. And the best way to pepper these keywords is to do it in your contents! 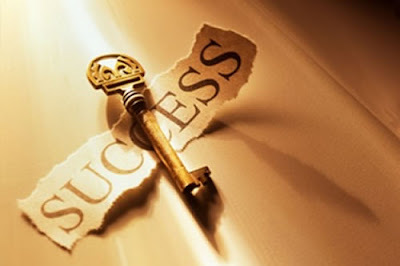 Create content that is rich in keywords and you might just become famous in the Internet. Search engine optimization is an investment of commitment and time. The result would not be instant but it’s beneficial and cost effective in the long run. 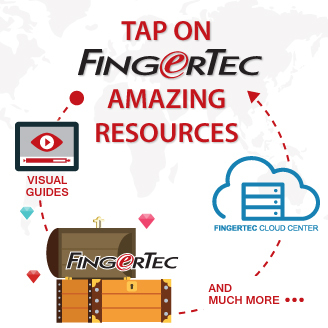 Starting from today, I’m urging FingerTec resellers who have websites to intentionally use keywords like fingerprint, time attendance system, biometrics, door access system, etc in articles and websites related to FingerTec. We might create wonder by doing it together. Yes, the holidays are joyous and jovial. But they also have a stressful side. This is a definite truth for store owners. While the holidays bring in customers and profits, they are also a prime time for petty theft. You want to make sure that your business, your earnings, and your stockroom are all safe. The last thing you need is to go to open shop the next day only to find that there's nothing left to open. Have you considered a fingerprint door lock? This would be the optimum time to consider it. The only people who will have access to the "employees only" spaces are employees. The door locks have databases that can store information on your entire staff so that they can enter and exit easily, however it keeps unauthorized out. And while it's a rare occurrence, if you have problems with any employees you can revoke access remotely whenever you like. The safety standards of fingerprint reader software are much higher than with manual door locks. Some models will allow access with cards as well to help save time. Your money's safety is crucial this time of year. You are going to need the revenue to boost you into the New Year. Take the time and invest in biometric technology today. It's easy to install and will save you a lot of worry. I couldn't help but to compare what I had observed in the two Islamic stronghold countries that I had visited, Iran a few years back, and Saudi Arabia just last week. Wearing of headscarf is compulsory for all women in Iran but their pieces of clothing and headscarves can be fashionable and colorful. This headscarf ruling is applied to foreign women too. But black is the only permitted color for women in Saudi; they put on black headscarves, black veils, shapeless Abaya black gowns covering from head to toe, exposing only a pair of flickering eyes, and some even covered their eyes with black veils too. But for foreign women, while headscarf and veil are not enforced, black gown is obligatory. With Saudi men wearing their traditional white robe and their women put on the black ones, such contrast is so eye-catching in Riyadh, the capital city of Saudi, and located in the middle of Arabia in a desert environment. Alcohol is forbidden and entertainments are scarce in both countries but you get more Western TV channels in Saudi than in Iran. Facebook is banned in Iran, but I could gain access in Saudi. It had made my stay in Saudi slightly entertained. 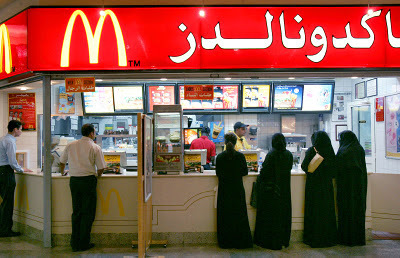 Segregation of different sexes is a common scene at the food corners in Saudi. All shops are closed during prayer times which did not happen in Iran. Generally, Saudi women are not allowed to work and they are not allowed to drive by law. Even at the women cosmetic counters at the shopping mall, only salesmen were around to serve you. The IFSEC Arabia observed the similar scenario, the religion extended its grip to bar all female exhibitors from entering the hall, making the exhibition the all-male show. IFSEC Arabia was relatively small, occupied only a small hall with less than 100 exhibitors. 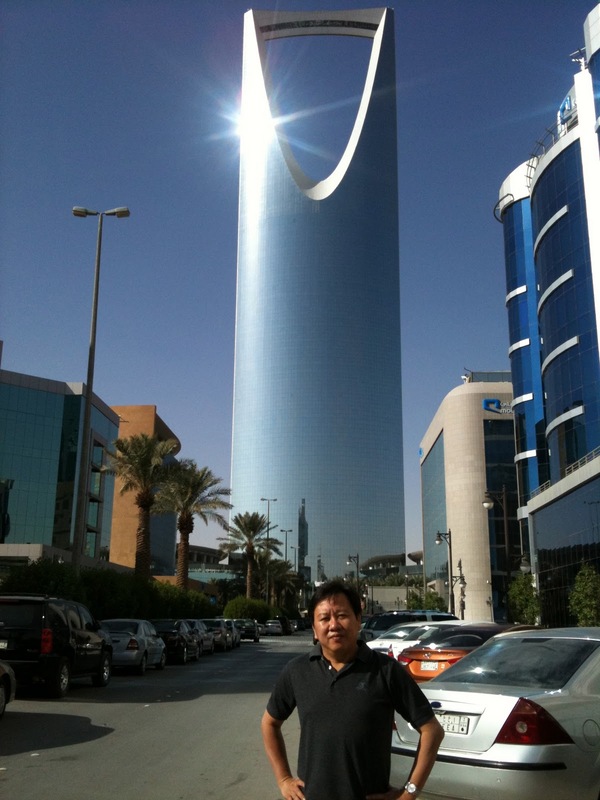 Since FingerTec is a famous biometrics brand in the Kingdom of Saudi, and we already have a few active and performing resellers, our participation's purpose was mainly to meet with them and to understand this unique market better. To name a few who came include Global System's Technical Manager, Mr. Mohamed Abdelatif from Jeddah who came on the first day, ItQan International's Project Manager and Sales Engineer, Mr. Mohammed Naiem Ewidah and Mr. Mohamed Abdulmoniem Abdul Mustafa from Dammam who came on Day 2 and 3 to help us at the booth. We also had a good conversation with ZulTec’s Sales Manager Mr. Mohammad Munir and SecuTech Arabia’s Pre-Sales Consultant and Sales Manager Mr. Mohammad Shahzad and Mr. Rauf Anwar Mohammad and Proline UK’s Assistant Manager Mr. Nasiruldin Y. Sulaiman who dropped by our booth. We also took the opportunity to meet Innokat Saudi’s Deputy Managing Director and e-Business Director Mr. Ali S. Al-Farhan and Mr. Naser Abu Al-Haji who become our partner this year, and active in government projects in Riyadh. Islam was originated in Saudi Arabia in the 6th century, and spread fast to the Middle East and later to the rest of the world. With over 1.5 billion followers as of 2009 or over 22% of earth’s population, Islam is now the second largest and one of the fastest-growing religions in the world. Over centuries, the major religions have evolved an astonishing ability to extract loyalty, unswerving devotion and financial contributions from their adherents, which must make them a fairly appealing business model to emulate as to yield brand identity and brand loyalty. And, if we see FingerTec in a religion perspective, the logo as the religion symbol; the philosophical ideology as a fundamental principle; the global reseller program as a basic teaching; the online resources as a doctrine to instill beliefs; and the resellers as evangelists, we have no doubt why our brand has religiously spread in over 120 countries. 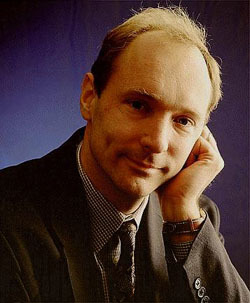 The different of Islam between Iran and Saudi, and in other different countries, as Graham E. Fuller, a political scientist has put it, there is one Islam, but many different ways Muslims live and interpret it that differ greatly from country to country, age to age, issue from issue, person to person. In fact, Islam is what Muslims think Islam is, as well as way they want it to be. And they differ, as do adherents of other faiths. And I see our localization efforts and product customizations to fulfill certain requirements fit into this explanation, but FingerTec still remains as One Brand. How many times have you gotten a message that your password is not secure enough? When you set up new accounts practically on any site it begs you to add any weird symbol you can to the mix to make it stronger, but thinking in terms like "df4ta6%&@" are too complicated to remember and just plain annoying. Besides, the more complicated we make our passwords, the more often we forget them. This prompts us to request a password reset. How could that possibly be effective? Here's an idea. Why not use fingerprint reader software as a form of identification? With biometric security, your office files and clock-in are secure and accurate. You no longer have to fear identity theft or tampering. There is a lot less stress involved with just having to place your finger on a scanner. You don't have to remember anything. The scanner will already have your profile so it does all the work. The other benefit is how accurate your work shift will be with a biometric time clock. You will get paid exactly as you deserve. You will not get frustrated having to make corrections over email or in person. You get security that your hard work is noticed. There is little to no error as there is with manual password logins. All-in-all, there are countless benefits to upgrading office software to include biometrics. Kevin McCallister could have saved himself a heck of a lot of effort if he had a fingerprint door lock. All of those traps he planted around the house to prevent a robbery by the "wet bandits" must have been a real pain to clean up after the whole debacle. Of course, life in the early 1990s was not as advanced as it is today. And if for whatever reason you want your home to feel safer when everyone's out and away you can depend on finger scanner technology to deny door access to any strangers. Biometric technology has surfaced as one of the most reliable forms of security. It has proven to be reliable in offices when it comes to door access and employee clock in software. So much so that it is even being implemented for personal use at home. When you buy the H2i Home Package from FingerTec you get not only the door lock, you get the emergency break glass, a rechargeable backup battery, a key switch, and more! With a finger scanner installed you can still use your original door locks, just consider this an addition to the safety of your home. The system is very easy to install and it's just as easy, if not easier, to operate. It can be used on the main entrances, bedroom doors, home studios, garages, etc. It's an all-around smart device to own. 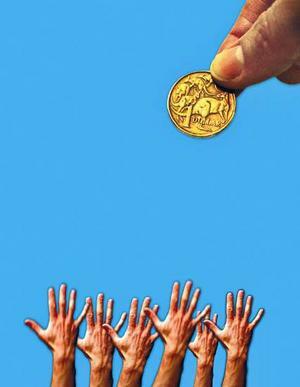 All eyes are on Euro Zone crisis. If the dangling Greece debt turmoil could not find its way out which seems quite likely, the crisis which has been plaguing the Euro Zone could be spiralling as an enormous hurricane that would hit the world's economy anytime soon. This pessimist analysis by some experts masks the world's economy with a layer of dark clouds. When some companies look out the window, frown at the gloomy skies and decide to cut costs to prepare for their years ahead, thankfully our plans for next year would not be affected. We have hired more programmers to speed up our research and development works; aggressively preparing for new software and hardware products for the coming years. We continue to recruit a few more technicians and we have extended the support hours to include midnight to early morning, and with this decision, we have reduced the gap of 'support staff unavailable online' to three hours a day, and prolonged the technical assistance to 19 hours per day. If the sky is gloomy, it's alright, have your umbrella ready. We are not immune from the economic slowdown. When the subprime crisis hit in 2009, our turnover was recorded only slight increase as compared to the previous year, but while being prudent we carried out all activities like normal and we didn't even cut the annual trip to Shanghai. This year, as usual, our staff who receive an incentive trip to Gold Coast, Australia is about to depart this evening. On advertising and promotion, we just signed up for advertisement packages on two prominent security magazines, A&S International and Detektor International for the whole of next year, and we plan to take part in more than ten tradeshows worldwide. More new products are in our pipeline, with one particular 7-inch touch screen new iKiosk that runs on Android platform to excite everybody and I. This would mark a new milestone to our product line, because besides the bundling of standard applications, customers can now have more control of their own terminals, and download Apps they feel useful from the Google Android Apps Store. It would serve as an amazing administration kiosk that does multiple purposes for office environment. 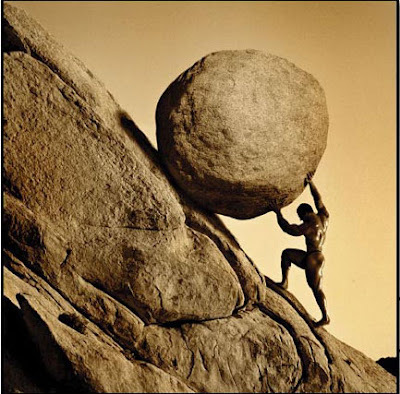 When you are a start up company, struggle is normal even during the economic booming years. But for established companies, if you are only making good money during good times and losing money, having to cut costs and retrench workers during bad times, then I don't think you are competent enough companies. To continue making money during bad times, a company should take various aspects other than only sales figures into account during good times. Instead of focusing on only sales growth, one should think of its biological growth as well. Without one holistic perspective, your business field may remain barren even during the harvest season. Biometric recognition technology uses a person's anatomical or behavioral characteristics as a method for accurate identification. It has advantages over ID cards and passwords because the individual must be physically present during the identification process. The technology was created to prevent impersonation and identity theft in an age where the internet and computing technology runs practically everything. So what makes fingerprinting an ideal method of identification? Fingerprints are absolutely and undeniably unique. We have the pattern of ridges on each fingertip that cannot be replicated by any simple means. Fingerprint classification has proven to have a high rate of success in identification in numerous applications. There are other forms of biometrics, such as DNA, but there are reasons it's not as feasible to use. Although DNA is the most accurate form of identification, it can be easily acquired and used. So, in a sense, it has a higher potential for identity theft. Finger scanner technology also can be programmed to detect moisture and temperature so it will only allow access to a live present person. Fingerprints are also very simple for users. The most common prints are the index finger and the thumb. Biometric time clocks can therefore be used very quickly and easily when employees are waiting to sign in and access the building. It is an easy process that does not detract any work time. The software will even track breaks for accurate listings of work hours. The technology is non-invasive and it's safe. It works as an extra security measure without impeding on anybody's comfort level concerning privacy. It keeps that happy middle ground. 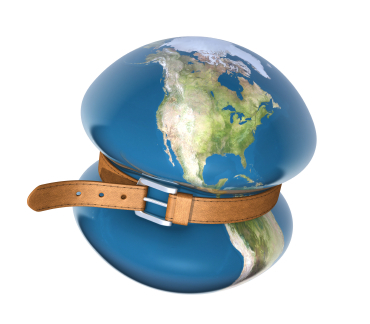 User Generated Content: Ingenious Strategy or Simply Insane? We are going back and forth on this idea of letting customers discuss about our brand freely in the social channels and new media. On one hand, we are excited to find out what’s being said about the brand, on the other we have a great amount of fear that the move would bring a colossal disaster to the brand we’ve spent years building. Every product has its weak points and if these points are stressed too much, would they affect the brand adversely? Considering what I’ve read and known, user generated content or UGC has an impactful influence on customer’s decision-making process. From a trivial buy like movie tickets to a more significant purchase like buying a car or booking a vacation, other customer’s opinions matter. Moviegoers swear by Rottentomatoes reviews; anything that is less than 60-70% average user rating would not entice them to catch the movie. Recently, when I wanted to buy my first Kitchen Aid, I Googled about the machine, contemplating the good, the bad, the ugly before making any decisions five days later. When it is very easy to get opinions from people who have bought and experienced the products, the decision-making process is very much influenced by those (opinions). Even when it involves buying a new apartment or a new car for example, the owners’ say matter in addition to opinions from experts. Now, control is very important when it comes to leaving the floor to the audience to discuss about your brand. If it’s not controlled properly, it could do more harm than good. How are we making sure that the competitors are not contributing to the discussions and dropping vindictive remarks along the way? Are the ones who provide the comments users of the product or just random visitors whom based on their experience with other similar products want to vent their frustrations? One thing for sure, contributors do not like to be deleted or denied an opinion if you have comment removal as part of the plan. So long as the comments are fair and not overbearing or breaking any laws, it should be permitted to appear on the sites. 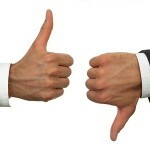 Presence of some negative comments also provide consumers with a feeling of trust in the genuineness of the feedbacks. Nonetheless, when the control is favoring the supplier too much, consumers are not getting the real picture of the brand. The question is, how to let go without losing control? Whatever the issues are, we’ve got to start. When the online market is available 24/7 all year long, somehow or other the brand is going to get discussed somewhere. If we are not opening any channels to know what’s being said about us, the discussions are still going on, the brand is still being discussed over conversations and we miss the opportunity to listen and improve on our products and services. FingerTec is looking into incorporating UGC in our websites. One key to successfully letting go of the control to the user is to start small and manageable. Another is to be responsive and ready to engage and address consumer’s concerns. When we’ve gained enough experience, perhaps we could attempt something complex. In the meantime, let us start with baby steps towards acquiring UGC. You may have noticed that in the last few years people have been jumping on the biometrics train. It makes business run smoother. It has multiple applications, from organization, to security. For example, a biometric time clock will check-in employees each morning and check them out as each day comes to a close. It can track breaks, it can organize schedules. It will do the work for you, and be able to give you accuracy for employee paychecks based on clocked hours. The fingerprint door locks keep offices and homes safe. They have a database with records of the accessible fingerprints. What we are seeing now is a rise in the complexity of these machines. Biometrics are the future for airport security and home security. With touch screen devices we will start seeing the fingerprint as a replacement for autograph, or at the bare minimum be an added security feature to coincide with our autographs. This is not science fiction. This is the future. Biometric technology can record fingerprints, facial structure, and iris patterns. If you are going to stay updated with technology, biometrics are a start. 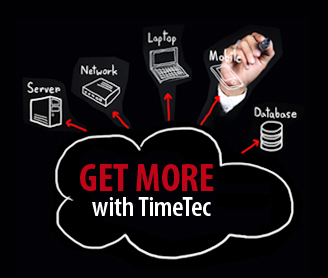 Get your office a few fingerprint time clocks and keep a look out for the latest software. Human beings have always been observant creatures. We once determined the identification of people purely through behavior, and by the way they looked and sounded. Then we began forensic studies. We learned that fingerprints are unique. so are the eyes. We took those as means for identification in cases where we needed more absolute evidence. Then we created machines that could read ID cards. As technology booms and life gets more complicated we are constantly shifting identity. Computers create profiles people use online to express any number of things. 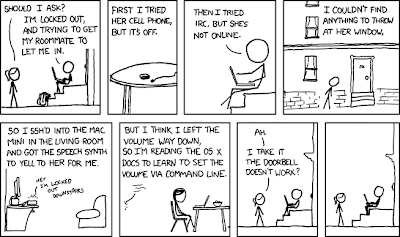 Computers are one way of assessing an individual's behavior. Biometrics are the cutting edge of identification technology. A finger scanner can tell whether or not a person is authorized to access a room as well as positively ID someone currently in the database as a valid employee. Biometric time clocks can track work progress of the individual who has checked in. It makes an attendance system much more effective than it would be without the unique identification features. And it's just the start. Biometrics are being used in all sorts of offices, airports, resorts, and more. They do not fail in the way that a person could with a photo ID. It's more in-depth and focused, assuring the best results. Who is your customer? I still remember this question asked by the consultant who coached us to obtain the ISO 9001 certification in 1998. Our staff knew the customers well enough to blurt out their names effortlessly. The consultant then stopped and questioned one staff, asking him whether his daily duty was to serve the customers directly, or some other immediate “customers” within our own company? After one round of the same question, our staff finally found that indeed, they had “customers” within the company as well. Even the sales and technical staff that are constantly in contact with our regular customers have other “customers” that serve their priority list within our organization. So, who IS your customer? Eventually, the answer points to your superior within your department, or the peer that you report to in the next department. Anyone who demands something from you is your “customer”. Anyone who has some expectations of your work is your “customer”. The job you’ve just completed and handed over to the next guy - this next guy is your “customer”. You have to ensure that the quality of your job consistently meets your "customer’s" requirements. I like this definition of CUSTOMER in a wider context. We often hear companies claim to deliver quality products that meet customer satisfaction as their mission statement, but more often than not, we see finger-pointing flying around, with blame for other departments or co-workers for some fault or the other. If the internal “customer” satisfaction couldn’t be achieved within a company, the mission statement is just another blurt-out slogan without any substance. When our ISO 9001 certificate expired in 2007, I decided to forgo renewing it as the changes and growth in our internal quality system is occurring way too fast to be picked up by the documentation requirement of the ISO 9001. In my view, it wasn’t a big deal to acquire the certification - our blood constantly flows strong with quality management regardless. This Monday, a group of officers under the Ministry of International Trade and Industry of Malaysia came to our office to conduct an audit-visit, as part of their procedures for the Brand Excellence Award short-listing companies. After the factory tour, one officer observed and mentioned that we should have implemented the 5S methodology. My response to her was that as of now we don’t specify, we have learned and adopted all kinds of good practices that benefit the brand. And that’s the concept of Jeet Kune Do that I have written about in my previous blogpost , ….. style without style, moving fluidly instead of following rigid styles and patterns. Yes, learn how to satisfy your other “customers” within the company; only then will you achieve the real satisfaction for your customers in a broader perspective. Running an efficient office is more than just having your employees come in on time and checking in with a biometric time clock. It is also about having the best possible safety and security available to your office. With a FingerTec fingerprint door lock you are guaranteed control of who accesses the room. It encourages a respect of property and privacy. The door fingerprint lock may look small but they hardly handle a small task. That is why they are capable of holding thousands of fingerprints in their memory and can be updated to add or remove users easily. You can never be too careful. If your business handles any shipping, expensive items, or sensitive files then ordering a biometric door lock is a wise business decision. When you think of the degree of online file sharing and snooping in this world, you really know that keeping everything under lock and key is protocol. Doors with mechanical locks are easy to pick. You can't break into a fingerprint door lock that easily. Agencies can use these for department specific access. Only employees working with a certain access ID or within that department's database will be authorized. It keeps order in check.